"The scriptures make the danger of delay clear. It is that we may discover that we have run out of time. The God who gives us each day as a treasure will require an accounting. We will weep, and He will weep, if we have intended to repent and to serve Him in tomorrows which never came or have dreamt of yesterdays where the opportunity to act was past. This day is a precious gift of God. 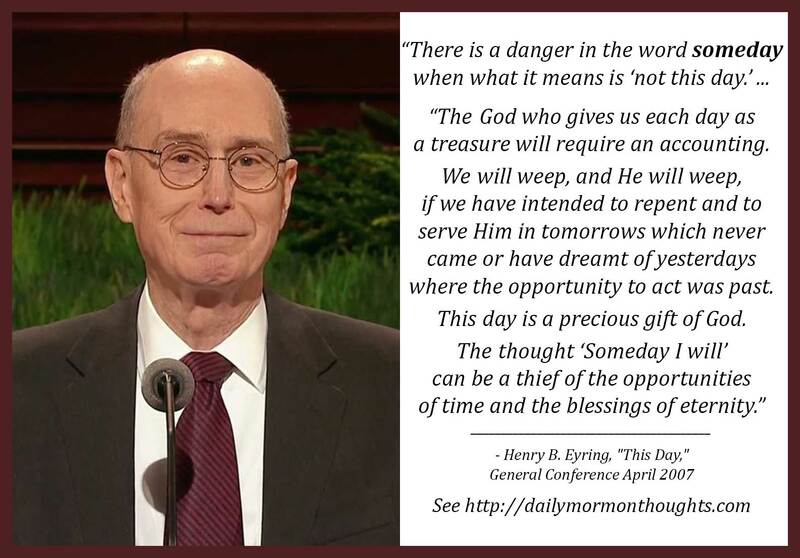 The thought 'Someday I will' can be a thief of the opportunities of time and the blessings of eternity." 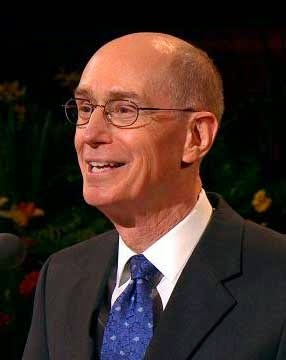 President Eyring points out the risks we take when we postpone important matters; waiting for "someday" can truly mean "never" if we wait too long. For many things, that probably doesn't matter so much, as our focus and priorities in life can change. But for some things, that is so very crucial. It's been said that the things that matter most should never be at the mercy of the things that matter less, and we too often allow that to happen. So how do we avoid that trap? By being clear about priorities, and taking time regularly to reconsider our lives and establish what it is that truly matters. And by continuing to make those things happen, starting now, with a clear and helpful course of action! And in all things, but inviting the Spirit to help choose the priorities and commit to the paths of action.